I love the artwork that adorns the hallways of our school. 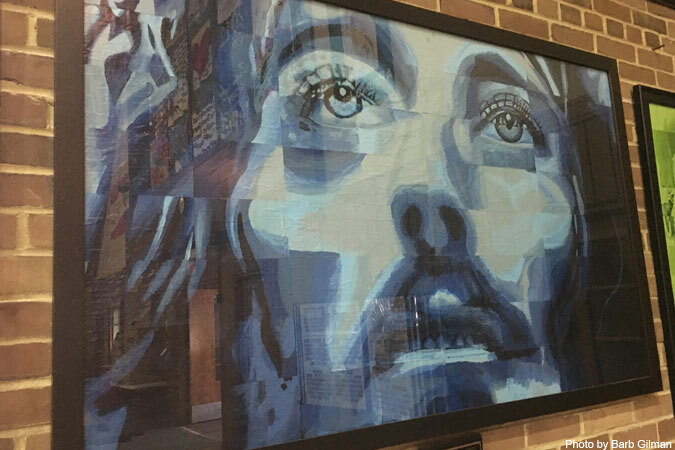 While we display art made by our students, religious art decorates the building itself: the first-floor hallway ends at a beautiful mosaic of the Madonna of the Streets, and a large cream-colored bas-relief of angels playing instruments greets students at the end of the north stairwell. Most recently, our school has added collaborative art projects made by the eighth-graders as a gift from the class to the school. 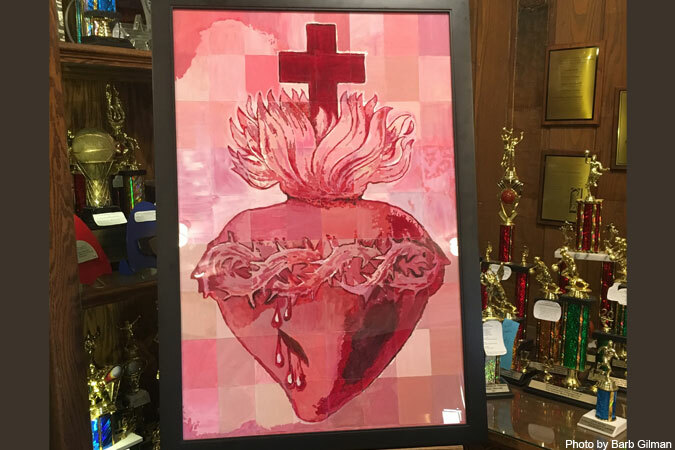 Our collaborative art projects started five years ago after I heard Nick Senger, a #CatholicEdChat participant, share an art project that the eighth graders made for his school. 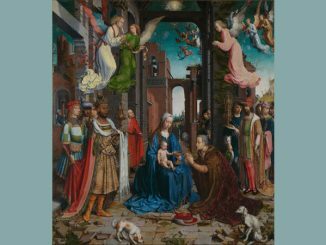 Knowing how much our school values religious art, I was interested in learning more. Nick shared a photo of the most recent project, and I took it to our eighth-grade teacher and our artist-in-residence. They loved the idea. This special art project takes about three to four weeks to complete. The first step takes place when the eighth graders brainstorm ideas for what they would like to paint and give to the school as their gift. This part is very important as the students really become owners of the painting. Our art teacher, Carey Hernandez, uses Photoshop to turn the selected image into a line drawing that the students will fill in with pre-mixed tempera paint. The picture is then printed onto card stock using a regular printer on the poster setting. Then the poster is carefully cut into 72 smaller rectangles (eight columns of nine rectangles each). The rectangles are numbered with a letter and number on the back to mark their positions. A letter designates the row, and a number designates the column. For example, the rectangles in the first row are numbered, from left to right, A-1 to A-8, the rectangles in the second row are numbered B-1 to B-8, etc. Each student then paints a rectangle. They keep each other on task so that they do not pick the wrong color for their section. Since there are more rectangles than students, those who finish early will take another rectangle to paint. Once the rectangles have dried, the painting is reassembled and mounted to matboard with double-sided tape. Before it is framed, the image is flattened so the pieces will not curl. The students have found the painting process to be an art project they look forward to, and they are invested in the final piece. The collaborative art project is then displayed at our special eighth-grade breakfast during the last week of school. Each year, the parents are delighted to see what their children have created, and the school community loves seeing what the students give back to the school they love. 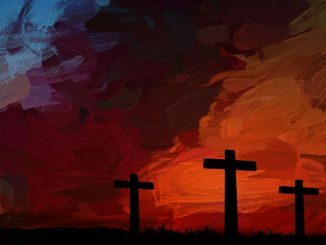 Reinforce faith with easy craft ideas for children from Crafting Faith: 101 Crafts to Help Kids Grow in Their Faith.